This section of the TORQ website has stayed stale for long enough. 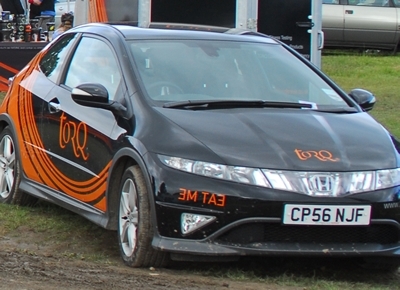 We have a huge amount of material to use here at TORQ, because of my journalistic exploits, but finding the time to get it up onto the website has proved, well, not very easy. Perhaps we should develop and sell fewer products. Anyway, I’ve found a window of opportunity and I’m going to seize it with both hands. 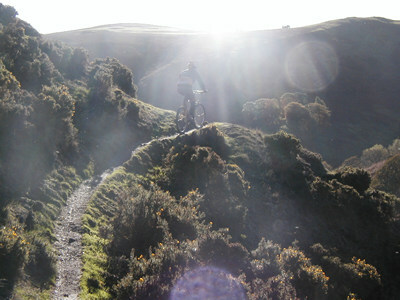 This article (and the ones to follow) were originally written for Singletrack magazine and the style is somewhat ‘relaxed’ and ‘not overly serious’ so please enjoy reading them, glean the important information and don’t be too shocked if I rabbit on about a load of unecessary stuff! Oh yes, this article was also published in ‘Bicycling Australia’. It goes without saying; there are certain pre-requisites to a successful day in the saddle. You’ll either know what these are instinctively, because you’re clever and organised, or like me you’ll rush out of the back door leaving all manner of important gear on the table behind you. 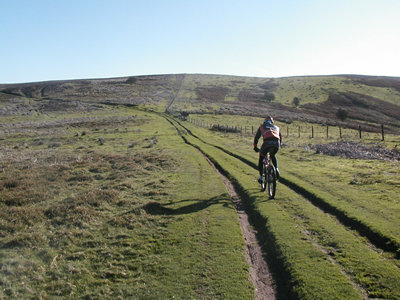 You might even try to wing it and believe that you’ll survive ‘without tubes’ for one day – you’ll just ride carefully. Yeah right! Look, we’ve all done it, so if you don’t empathise with me, you must either be from a different galaxy or you’re exceptionally bright. Aliens scare me, and so do exceptionally bright people now I come to think of it. Forgetting to pack my chain tool is probably the balls-up that caused me most distress recently, but I did bring my energy food. Not the ideal tool for the job in hand I admit, but I’d have never made it back to base without the couple of energy bars I had in my back pocket! This is what I’m good at – advising people on how to train and eat properly. Anyone that knows me understands that ‘ongoing bike maintenance’ isn’t really my bag, so I’ll stick to the subjects that I know and love. That’ll be safer for us all I think? My brief from Chipps is to talk to the Singletrack readership about fuelling for a big day out on the bike, what to take with you and how much of it you should be eating? Being ‘Nutritionally Prepared’ is what we call it in the trade. Actually, the whole fuelling thing starts the day before you ride. Just as you fill up the fuel tank of your car before a long journey, the same applies to the human body – only it’s slower. If it took as long to fill your car up as it does to load your body with carbohydrate we’d have a fantastic rail network in this country, because no one would be arsed to drive anywhere! Carbohydrate is your body’s fuel. You burn fat and a little bit of protein too, but the amount of carbohydrate you have on board will ultimately determine whether you have a good ride or not. This is because you have a finite supply of carbohydrate and it is used as a catalyst for fat burning too, so when it’s gone ‘everything goes’ if you know what I mean? Keen cyclists call it ‘bonking’ – a little word that could quite innocently be mistaken for meaning something else far more pleasurable. If you want to have a good ride on Saturday, you’ve got to fuel-up on Friday. This means that you need to get hold of lots of high carbohydrate foods and stuff your face all day. It’s great fun and there’s no reason why you shouldn’t enjoy every minute of it. You need to keep the fat low though, for two reasons. Firstly, fat slows down the digestion and absorption of carbohydrate, so you won’t fuel-up as quickly and secondly, you don’t need fat, you’ve got loads of it (even if you’re really skinny). So what kinds of things should you be buying in? Obviously, your main meals should be pasta, rice or potato based. Pulses like beans, lentils, peas and chickpeas are often forgotten. Try to go high on these things and lower on the sauces and that’ll tip the meal more towards carbohydrate and away from fat. In other words, loads of spaghetti and a bit of bolognaise rather than the other way round. Make a point of snacking too. Look at the packaging on the products you throw into your trolley, because by law there needs to be a nutritional panel on every product. Per 100g, you want to go as high in carbohydrate and as low in fat as possible. You’re basically looking at the contrast between the two. Dry stuff is usually the best – things like cinema-style popcorn and flavoured rice cakes. In the biscuit department, they’re all high in fat, so avoid them like the plague, however Jaffa Cakes are OK, but are they a biscuit or are they a cake? Whatever – they’re OK anyway. In the bakery department, one of my favourites is the Chelsea Bun, Malt Loaf and Scotch Pancakes with Raisins. Bananas are king obviously and the same goes for dried fruit. What you MUST do though is drink lots of water. For every gram of carbohydrate you want to store, you need 3 grams of water. Things like pasta and rice take care of themselves, because they contain lots of water, but your dry snacks won’t. They’ll make you thirsty anyway, but this often isn’t enough, so you’re better to drink a bit too much. If you’re not having a regular pee, you’re not having enough water, simple as that. 1) Breathing – extremely heavy. 2) Legs – extremely hurting. 3) Posture – hanging over the bars. 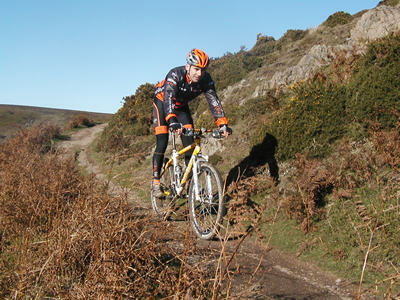 4) Dribble – on the front tyre. 5) Dignity – barely intact. You get the idea? On completion, immediately down an energy drink containing one gram of carbohydrate per Kg of bodyweight and proceed to eat lots of high carb things all day as we’ve already discussed. The TORQ moto is ‘eat today for tomorrow’ so getting it right the day before is by far the most important part of surviving a big ride. So you’ve stuffed your face all day, roll into bed, sleep many hours of deep restful kip and are woken gently by the playful twitterings of the little birds outside your bedroom window. You pull back the curtains, the sun splashes it’s magical sunny rays all over your smiley face. “It’s BIG RIDE DAY” you holler and the wheels are set in motion for Nutritional Management Procedure B. It may not come as a huge surprise to you, but you’ll be in need of high carbohydrate fodder again! This time though, you need to be a bit more scientific. One doesn’t simply stuff ones face, one needs to choose foods that have moderate to low Glycaemic Index (GI). These are carbohydrates that take quite some time to get into your bloodstream, provide a steady supply of carbohydrate and don’t evoke a large insulin response. High GI foods will send your blood glucose sky high and then drop you like a stone, which can leave you feeling lethargic, dazed and confused! My favourite pre-BIG RIDE breakfast is beans on toast (wholemeal bread). This is very high in carbohydrate, but will fuel you for a long time. Museli is great, but try pouring fresh orange juice over it instead of milk, it’s nicer than you’d think. Porridge is a classic, but don’t cook it for too long. If you keep the oats a bit husky they’ll fuel you for longer. As you’re leaving the house, don’t forget your chain tool. Trust me, it’ll ruin your BIG RIDE if you knacker your chain and have to hike for miles to get to civilisation. You should seriously consider some energy food too. Good energy products are formulated to be exceptionally low in fat and high in carbohydrate, so tick all the boxes when it comes to trail fuel. As a rule, you should be looking at consuming one gram of carbohydrate per Kg of body weight per hour. It sounds a lot more technical than it is. If you weigh 70kg, you need 70g of carbohydrate per hour. Most commercially available 65g energy bars contain 40-45g of carbohydrate and an energy drink mixed at 6% will give you 60 grams of carbohydrate per litre. Take the time to do a few calculations before you go and it won’t be long before it’s second nature. This is all pretty darn serious isn’t it? Making calculations? Where’s the romance? Ok, that’s as technical as it’s going to get, but trust me, Mountain Biking is far more romantic when you’re shoes don’t feel like they’re full of heavy metal, you retain some dignity in the ‘on the bike posture’ department’ and you’re not huffing and puffing out of every conceivable orifice. I’ve said it before and I’ll say it again, you can take these ramblings as seriously as you want. If I tell you what it takes (in fitness terms of course) to build a Ferrari, you can always water it down if you’re satisfied with the performance of a Subaru Impreza. Better to be either of these than some lard-eating vintage traction engine! There’s one more thing to note. Make sure you get the fluid/food balance right. You need your gram of carbs per kg bodyweight per hour – that’s a given. On cooler days, a combination of drinks and snacks works fine. However, on hot and humid days where dehydration is an issue, you should be getting the majority of this energy through drinks rather than solids. This ensures that you get the fluid you need. Research has shown that you get a 5% drop in performance for every 1% of body weight you lose through dehydration. If you’re not going to take ‘energy food’ per se and you want to grab something suitable from the garage on the way to the meet-up point, just go for low fat and high carbs and make sure you bring plenty of water. Solids mixed with water work really well, because they essentially mix in your stomach to make a sort of energy soup anyway. Go for cereal bars or flapjacks that are as low in fat as possible. Wine gums (in fact any kind of chewy fruity sweet) can be used to fuel you if you maintain a regular intake. I don’t want to be encouraging sweet eating, but they do the job nicely. Finally, we’re onto the subject of recovery. You’ve had a great day, you’ve felt the dogs b*!! *ks, but next day you don’t want to feel like someone’s smashed your thighs with a rubber mallet and fed you with ‘feel unbelievably sleepy even when you’re supposed to be concentrating at this very important meeting at work’ tablets. There are two schools of thought here. There’s the ‘Sod it, I’ve ridden my arse off all day and spent all of yesterday loading up on carbs, so I’m going to neck a beer and have a pizza’ approach. I can’t knock it, because I’ve done it too many times, but suffice to say, if you want to avoid a rubber malleting and potential loss of important career, there is another way. Research has shown that a 3:1 mix of carbohydrate and protein within 15 minutes of finishing exercise works wonders. Again, the carbohydrate needs to be 1g per kg of body weight and the protein adjusted accordingly. All good recovery drinks work to this formulation, but ideally look for one with whey protein, because this is the quickest acting and most effective. If you’re Vegan, there are some non-dairy options out there too. If you’d rather go down the non-energy product route, then your best option would be to get something like a jacket potato with tuna wolfed down as soon as you can. This should give you close to the 3:1 Carbohydrate:Protein ratio that’s desirable. It’s difficult to eat something like this without putting mayo on the tuna or butter on the potato though, and again the fat in these additions will dull the effect. It’s also difficult to prepare a meal like this in such a short space of time, but I’m sure it can be done, especially if you’ve got a devoted partner? You know, the one who says ‘Go out and ride your bike or as long as you want darling’ and ‘Don’t come back until you’re ready and if you’re passing the bike shop, here’s my credit card – treat yourself’. 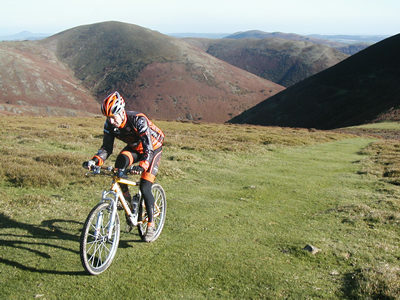 By the way, if you like the look of the pictures in this article, perhaps you could book in for one of our guided rides around the Long Mynd in Shropshire.